There are two food groups in the Scooby-Doo universe. One is the giant sandwich, crafted from whatever ingredients can be found in a haunted kitchen. 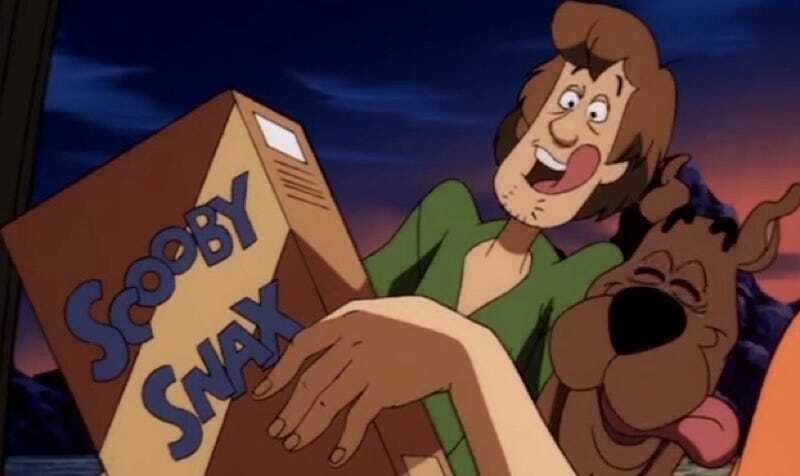 The other is the Scooby Snack, a treat with delicious powers of bribery and persuasion—and now, an official entry in the Oxford English Dictionary. Though the OED itself shared the addition of “Scooby Snack” on social media, and it was further touted on its editorial blog, it oddly doesn’t appear in this full list of additions for some reason (we’ve reached out to inquire about the discrepancy and will update if we hear back). Other new entries in the ever-growing resource, however, include such essential terms as “bottle service,” “LMAO” and “LMFAO” (important distinction), “wow factor,” and “turd.” Still holding out for “zoinks” and “jinkies,” however. Update: the OED replied to our query and explained that the list has since been updated to include all of the new entries, including you-know-which delicious treat. The full list is here.